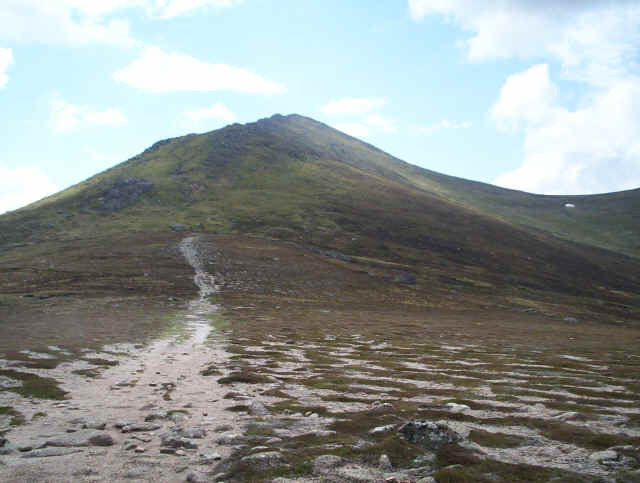 This is one of those hills with a "long walk" in. 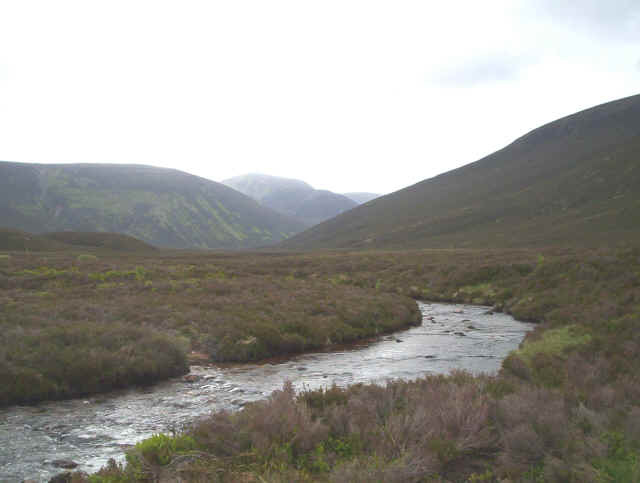 We'd started off from Glenmore Lodge along the old unpaved road towards Derry Lodge. 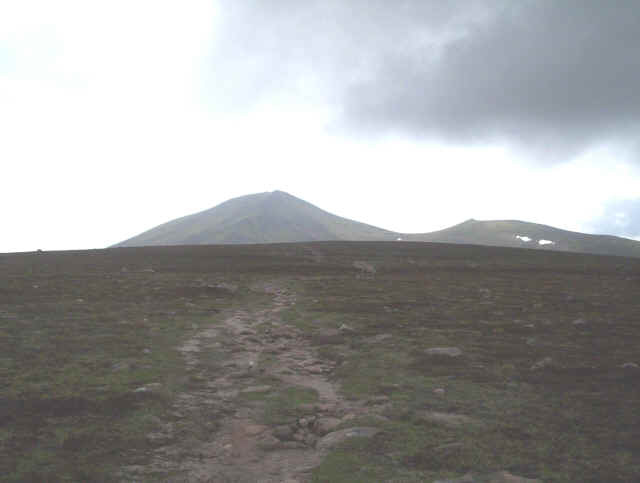 The panoramic view below from the summit made the long walk worthwhile . Click on panorama to open image in new window. Then click on this to enlarge. Use the back button to return to this page. 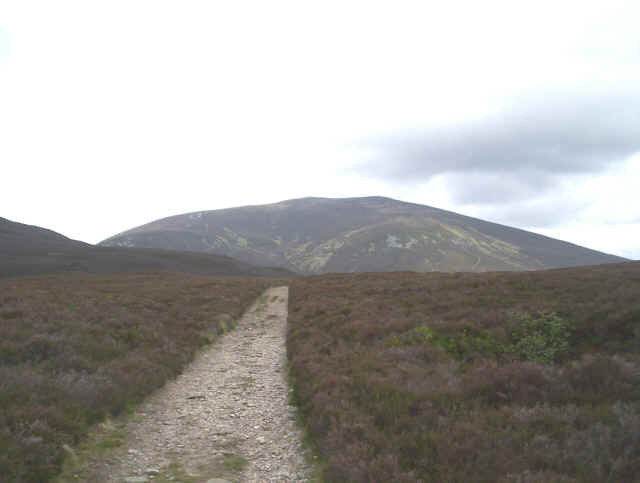 The return walk to Glen More was the same as the outward walk.